The market for pre-fabricated housing continues to rise, with new contract won by Tektum to supply 450 houses in a new regional development in New South Wales that will aim to be off-grid and achieve LEED Platinum rating. Tektum co-founder and joint managing director Nicolas Perren said the company has used research into areas such as safety, early childhood learning, sustainability, healthy environments, crime prevention and construction systems to develop its products. 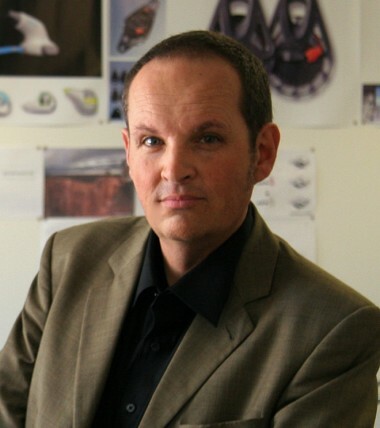 Perren himself is a visiting fellow at the University of Technology Sydney in the School of Design, Architecture and Building. Tektum uses both architects and industrial designers, and is designing and manufacturing high-performance buildings including modular homes, remote medical centres, childcare facilities and mining accommodation from a base in Campbelltown. Talks are underway about opening another facility in Geelong. As many materials and components as possible are sourced from Australian manufacturers, including double-glazed window systems and structural steel. The products that are sourced offshore are ones that meet high sustainability benchmarks but are not available locally, such as a bamboo flooring system and European-engineered high-performance facade materials. The buildings are manufactured as a box-type unit, which literally opens out on site, and has all electrical, plumbing and other systems pre-installed. Because all the elements are manufactured to one millimetre tolerances, all the building components can be easily swapped or changed. This also makes it simple to achieve the best results in terms of solar orientation on any specific site. Mr Perren said the company’s aim was to create a better quality building system that was more sustainable, safer and more accessible, with the manufacturing process aiming to also make them more affordable. Currently, the company’s price for a 100 square metre two-bedroom home with one bathroom including transport to site is between $160,000 and $170,000 (not including site works such as the foundations), and this price is expected to go down as manufacturing volumes go up. Early discussions are underway with the University of Wollongong about research into a lighter gauge steel system for the buildings. This could reduce both the volume of steel required and the embedded energy footprint of the buildings. Some of the sustainability features include designing with 3.2 metre ceilings and adding automated operable windows high up that are used to improve ventilation and purge heat. An 1100 millimetre awning also extends from the roofline around the entire perimeter to reduce solar burden. Tontine brand insulation comprising 80 per cent recycled polyester wool is being used rather than mineral wool, as Mr Perren said Tektum has concerns mineral wool insulation could be a potential contaminant. These initiatives and the high-performance facade give the homes a NatHERS rating of about 6.5 stars, Mr Perren said, and improve thermal and energy efficiency to the point where a house the company recently completed in Mackay rarely needs to use airconditioning. The company also offers solar airconditioning packages and solar hot water packages. The buildings are also suitable for solar power installations. No-VOC and no-formaldehyde products are being used, and Mr Perren said this is of major importance to the childcare sector, as studies have shown links between the quality of the early learning environment and learning outcomes. The company is in talks with childcare operators in New Zealand, and is short-listed to supply a number of homes as part of the Christchurch rebuild. The remote medical centres being designed and manufactured for Australian settings is an area Mr Perren believes will form a viable export niche for the company in the South East Asian market, and is is also piloting an improved version of fly-in-fly-out worker accommodation for remote Australian FIFO villages, which can then be adapted easily to become a regular village once mining operations cease. Mr Perren believes better accommodation will reduce worker turnover, which currently costs companies about $50,000 per worker every time someone leaves and needs to be replaced. In Wodonga, Tektum has completed a supported accommodation project for Yoorolla and National Disability Living Solutions under the Federal Government’s Supported Accommodation Innovation Fund, comprising a cluster of three houses for five people with disabilities, a project funded by the Victorian Government. 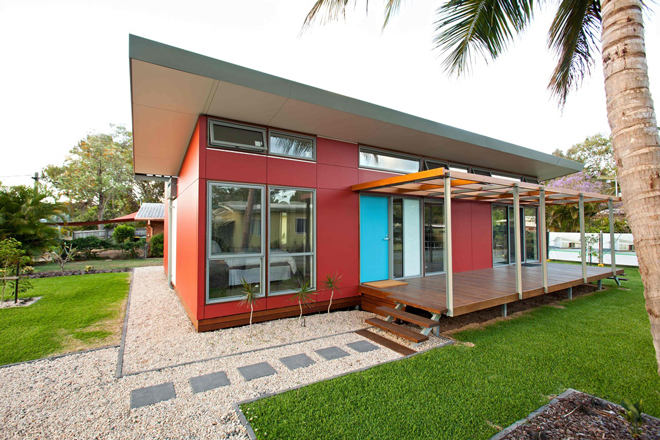 For NDLS, the project is a pilot for broader potential applications of the Tektum product to provide economical, environmentally sustainable and climate sensitive dwellings for people with disabilities in remote areas of Queensland, the Northern Territory and Western Australia. Expanding the number of manufacturers it can access for components is enabling the compoany to achieve some direct job-creation social outcomes. Currently, Correctional Services Industries is manufacturing parts for Tektum, and the company is in talks with the Endeavour Foundation about manufacturing possibilities. There are also plans to also engage with Indigenous enterprises. By implementing a very stringent recycling program and designing to avoid waste, Mr Perren said the firm had reduced the waste component per house from $3000 worth of waste to $300. “There is still a little way to go before we achieve zero waste to landfill,” he said, noting that there was, however, almost no waste onsite as everything that is shipped is either used in the building or recyclable. The Urban Development Institute of Australia has assessed Tektum’s buildings and masterplanning projects against the requirements of the UDIA EnviroDevelopment tool. The assessment concluded that the HOUSE2.0 design provides a sustainable built form solution that aligns with the requirements of EnviroDevelopment, particularly in the areas of low-emission finishes, environmentally responsible materials, insulative qualities and passive solar design principles.